As we told you Friday, the time to enter the Vodafone Mobile Clicks competition is coming to a close. The competition, announced at The Next Web conference, allows any startup with a mobile app or service in 7 different European markets to apply and compete for €225,000 in prizes. Previous winners of the competition, in its third year, include 2010 winner Cardbmobili and 2009 winner Layar. In 2009, Augmented Reality was just taking off and Layar was at the forefront of apps offering unique data layers mixed with live-view camera feeds, gyroscope support and mobile platforms. Layar is now serving millions of users with over 1200 different ‘layers’ of information and thousands of developers have integrated Layar technology into their apps. 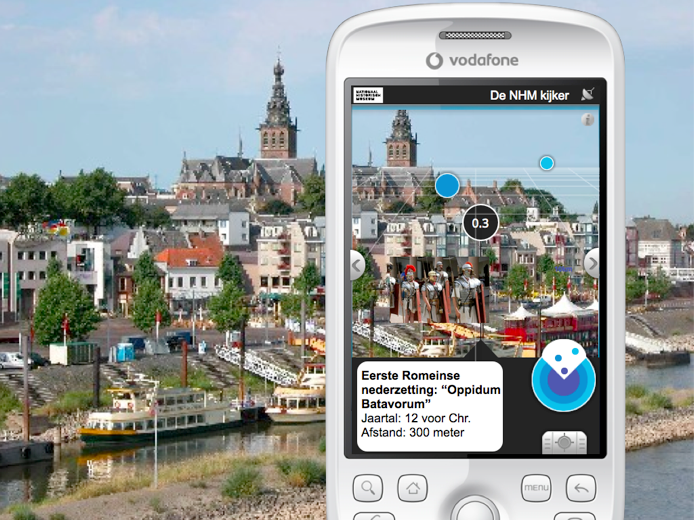 We had the chance to speak briefly with Layar’s CEO Raimo van der Klein about his experience with the Vodafone Mobile Clicks competition. What was your experience like at Vodafone Mobile Clicks 2009? Excellent. It was a great journey. It was great pitching in front of very knowledgeable judges. It sharpened our pitch and story. It made us ready to go out and fundraise. Did participating in the contest and getting feedback from the judges help with refining Layar? It helped making our product understandable for a wider audience. It’s no easy explaining abstract things like Augmented Reality. So presenting and discussing with the judges helped. What advice could you give to a mobile app developer on making their pitch and making their product stand out, both to judges and to potential investors? Have a story! A story worth talking about. Break through existing belief systems. Don’t call yourself a start-up, don’t make an app. Stop using words everybody else is using. A story is more important than the actual product in the beginning. Don’t launch if you dont have story. You will be eaten alive by the app stores. What are your favorite apps, besides Layar of course? Tweetdeck, Safari, Dropbox, Google maps and email. Looking critically to my iPhone and asking which apps I really use a lot I came to this very short list. How have mobile apps changed your life, if at all? They help me overcome situations. Keeps the day flowing. What does the future hold for Layar? Haha.. We are iterating continiously. Expect many interesting things to happen over summer. 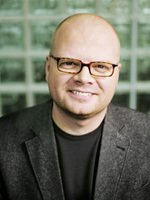 Great, thanks for taking the time to talk to us Raimo and be sure to keep us updated on future developments with Layar!